Camp Grandparents are the camper’s and staff’s BEST FANS!! You are the ones who will praise a kid for catching a fish, tell a girl she looks beautiful in her dress, tell a counselor, “Hang in there, your patience with your campers is amazing!”, and sit beside a homesick camper. You will be on-call throughout the day for whenever a sad or mad camper needs a sitting buddy, or someone to help them with a task when they have to serve a consequence. Camp Grandparents (or Uncles and Aunties) get to help with crafts, nature hikes, activities (like archery) and fishing. They also write letters and read books, pray, and do what grandparents do best– love on the kids. Responsible For: Loving the campers, writing them letters, reading bedtime stories, and assisting camp program. Main Goal: Enhance the camp experience by lending a listening ear, giving hugs, and speaking words of encouragement. Be available to the campers, and ready to listen to them. If possible, talk personally with campers about God and answer questions they may have. Take advantage of “teachable moments” such as helping a frustrated camper see the bigger picture. Write letters to campers every day. Stationary and stickers will be provided. Tell the campers that you are praying for them, that they are loved, share a Bible verse, and if possible tell them something good you observed about them. You will need to hang around the campers throughout the day to notice things about them. Some ways to do this are: participate in camp activities, sit with the wagon teams during meals or evening chapel, hang around the hammocks or carpet ball tables and talk with the campers, help with Morning Rotations such as crafts or nature program. Read bedtime stories each evening. You will be assigned 2-3 teams to read to, depending on how many grandparents are on staff. You will need to pick out which book you want to read, and familiarize yourself it before story time. 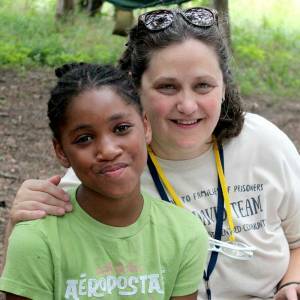 You may need to help sit with campers when they are homesick or tired, or need time-out. You may help in other areas of camp that you enjoy such as serving in the kitchen, teaching a class, or doing maintenance jobs. Encourage the staff– be available to listen and give advise, pray with troubled staff, and praise the staff often. We know there is a lot on this list. Please let us know your limits, and what you can physically do. If you find yourself in over your head, we are a team, so let us know. Please take care of yourself -your value is being there more than doing. Don’t burn yourself out. Pray, pray, pray; the campers, counselors, and entire staff need your continual prayers on their behalf.